The second quarter saw ACET engaging with partners over issues of domestic resource mobilization, youth employment and skills and agricultural transformation, and culminated in the hosting of the second African Transformation Forum. 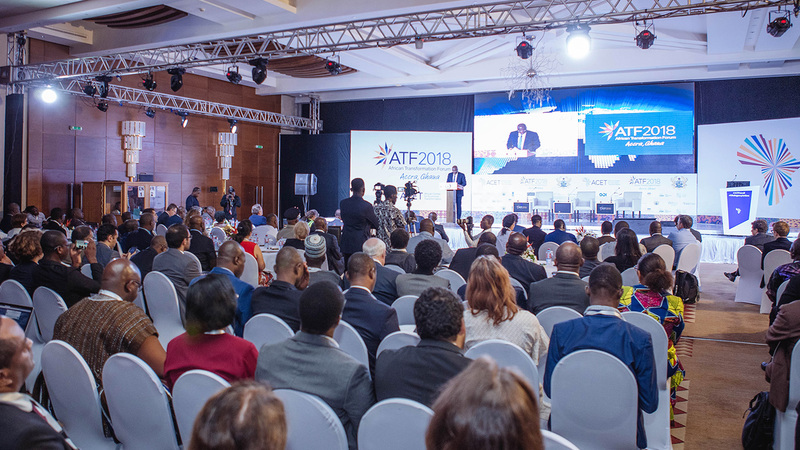 Photo: A cross section of participants at ATF2018. 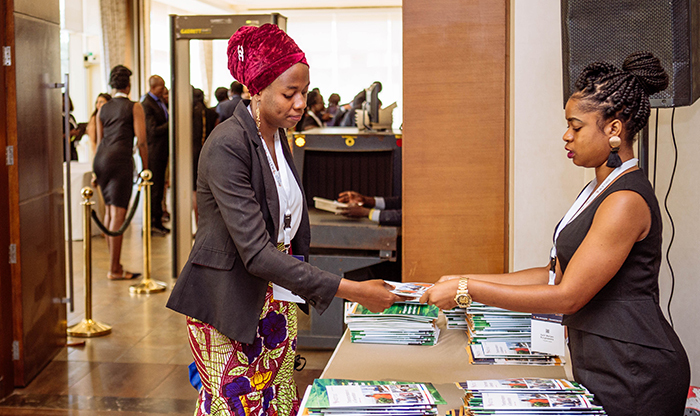 Policy learning and information sharing events continue to play a key role in ACET’s mission to help governments and business enterprises deliver economic transformation that improves lives. 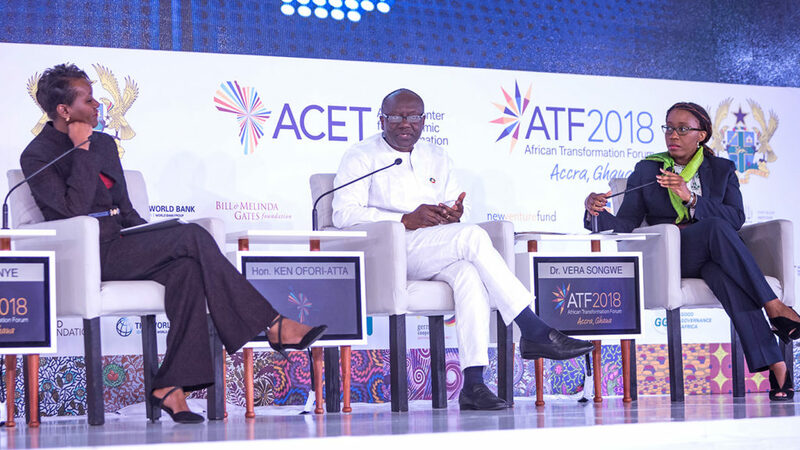 Building from the first quarter of 2018, which recorded five workshops, forums and chapter meetings, in the second quarter ACET successfully organized the second African Transformation Forum in Accra, in partnership with the Government of Ghana. The quarter started with a conference on domestic revenue mobilization from 4-5 April at Mövenpick Ambassador Hotel in Accra, organized in partnership with the Ministry of Finance of Ghana and the International Monetary Fund. The event was to support Compact with Africa (CWA) countries to overcome aid dependence, ease financing constraints and enhance growth prospects. It brought together senior government officials, experts, representatives of civil society and development partners. ACET in association with the Ministry of Employment and Labour Relations and the Ministry of Education organized a one-day Stakeholder Engagement Platform Meeting on Youth Employment and Skills with focus on Technical Vocational Education and Training (TVET) at La Palm Royal Beach Hotel, Accra, on 24 April. The meeting brought together stakeholders in youth employment, skills development, TVET institutions, private sector, employers and labour associations to discuss issues around three key sub-themes: TVET/Apprenticeship and Youth Employment, the Curriculum and the Role of the Private Sector. On 13 May at the United Nations Conference Centre in Addis Ababa, Ethiopia, ACET and the Economic Commission for Africa’s Regional Integration and Trade Division (RITD) jointly organized a presentation of the second African Transformation Report, titled Agriculture Powering Africa’s Economic Transformation. This was the fourth in a series of ATR 2 launches and presentations. This was followed by a stakeholder policy dialogue on Agricultural Transformation in Ghana, organized in partnership with the Alliance for a Green Revolution in Africa on 30 May. This dialogue brought together relevant stakeholders in agriculture and agribusiness, including policymakers, private sector, civil society, academia, development partners, various youth in agriculture networks, and the media. 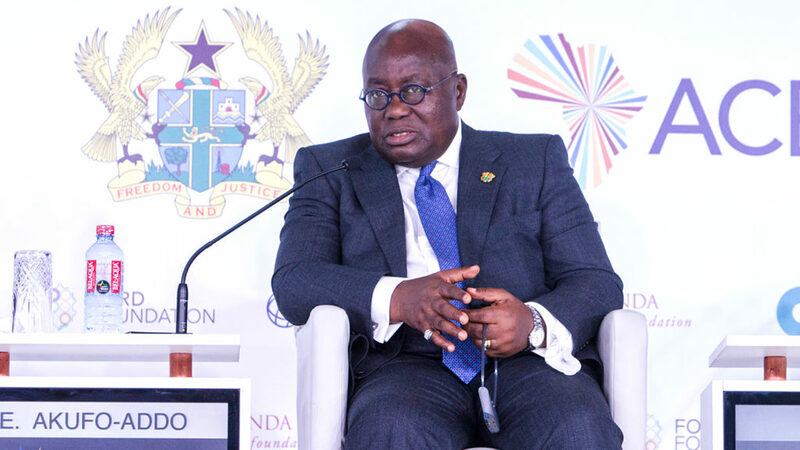 The second quarter closed with the convening of Africa’s biggest policy gathering on economic transformation, organized by ACET in collaboration with the Government of Ghana at Mövenpick Ambassador Hotel in Accra. 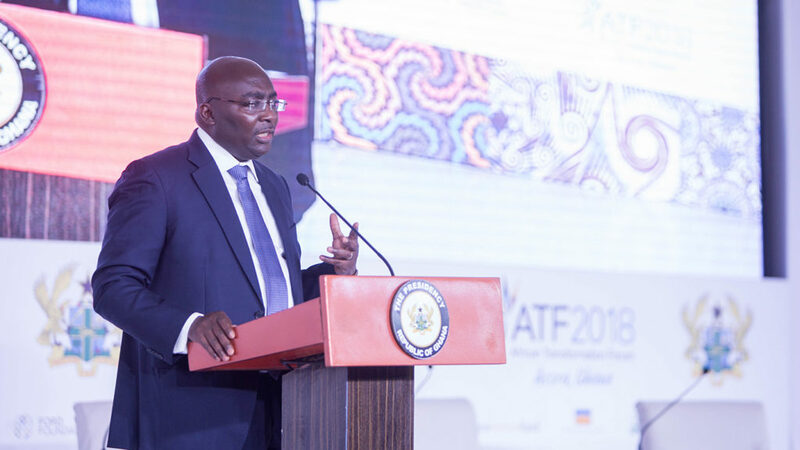 The second African Transformation Forum (ATF2018) was co-hosted by Ghana’s President H.E. Nana Akuffo Addo, and endorsed by Rwandan President H.E. Paul Kagame. Other participants included Vice President of Côte d’lvoire H.E. Daniel Duncan, Ghana’s Minister of Finance Hon. 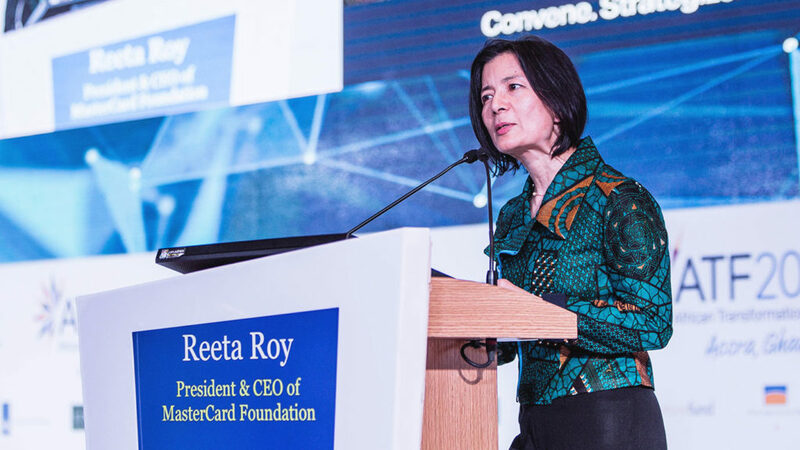 Ken Ofori-Atta, President and CEO of the Mastercard Foundation Ms. Reeta Roy, UNECA Executive Secretary Dr. Vera Songwe, business mogul Mr. Aliko Dangote, and an impressive representation of policy-makers, diplomats, CEOs and other dignitaries. ATF2018 was organized around the theme, ‘Convene, Strategize and Transform’. 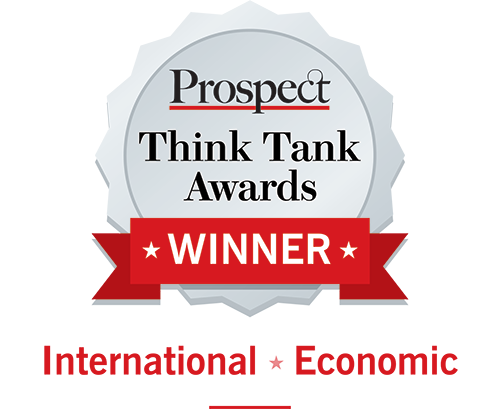 It was a unique African-driven event that brought together leading experts and practitioners who shared perspectives on how to accelerate job growth, boost investment and implement transformational policies. Photo: Receiving ATF2018 conference packs.